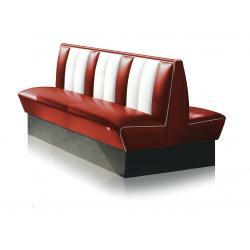 Create a stylish retro booth with our retro seats, corner elements and tables. By combining the retro furniture, you can make a temporary trip back in time. 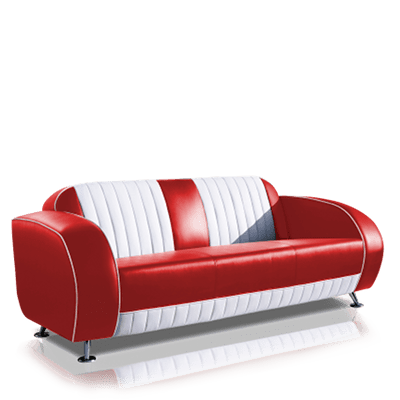 The clean lines and diversity in eye-catching colours are reminiscent of the fifties - Marilyn Monroe, hamburgers and rock ’n roll. 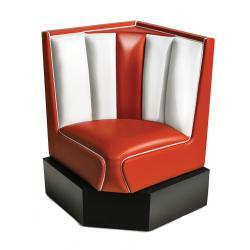 Our Bel Air booths are available in nine different colours. 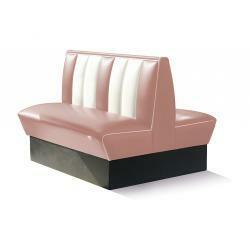 The variety of furniture enables infinite combinations to create a true fifties interior. 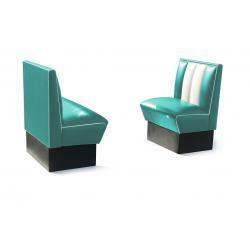 Treat your interior to some colour with our retro booths. 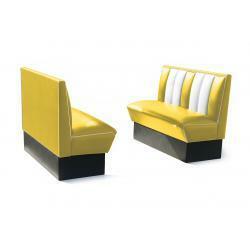 These seats for hotels, restaurants and cafés are available in nine bright colours, including yellow, blue, black, white, brown, red and pink. Compose your ideal American seating corner, the way you like it. Different booths can easily be placed up against each other, creating not only a splendid retro atmosphere, but allowing for effective use of space as well. The corner booth and the quarter circle booth, for example, are excellently suited for the creation of a comfortable seating corner, while the longer booths are ideal for larger groups. 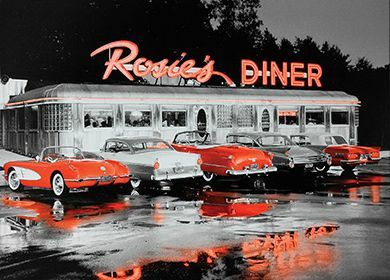 In our American diner, we chose to place various retro booths. Because we did not have much space to work with, we took Jolina Products’ advice and ordered the double booths so that we could install more of them. Splendid in combination with the retro tables! 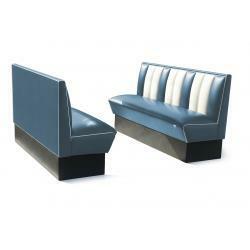 Thanks to the variety of colour combinations, the American Bel Air furniture is easy to match. 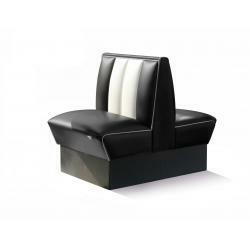 For example, you can combine the brightly coloured retro booths with a rectangular retro table, chair, sofa or bar stool to create a unique seating corner. 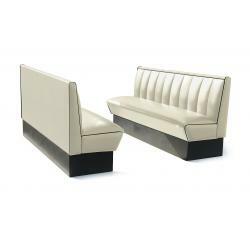 Place a retro booth on one side of the table and chairs or a retro sofa on the other. 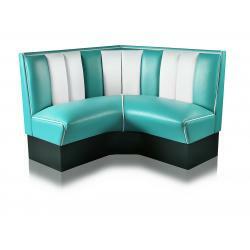 Become a reseller of our retro furniture and let your customers relive the unique years that were the fifties. With our drop shipment service, you don’t even have to store or deliver the furniture yourself – we do it for you! 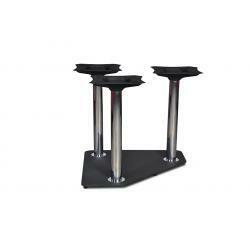 Contact us for more information about Jolina Products dealership. Looking for an outlet in your area? Enter your address to find the closest outlet on the map. If you have any questions about the purchasing of retro furniture, please do not hesitate to contact our customer service or download the brochure.